On Sunday, December 3, 2017 at approximately 1:20 p.m., at 1004 West Camp Wisdom Rd (cross street of S Polk St), Dallas, TX 75232, an unknown suspect fired one (1) shot at the complainant, striking the victim’s vehicle. 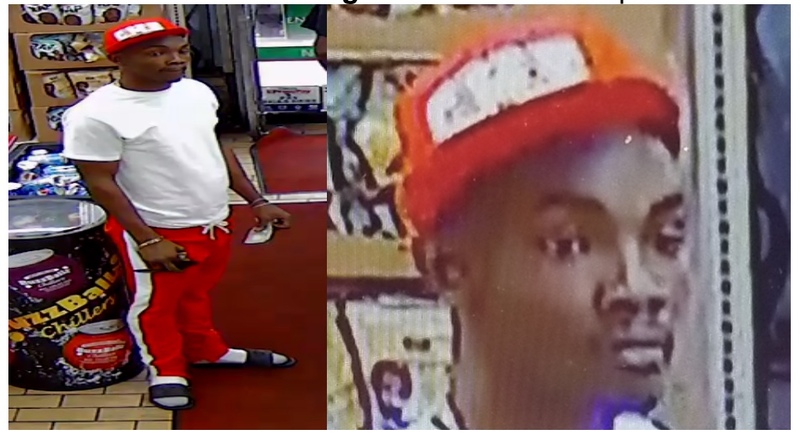 The suspect is a Black male, in his 20’s, 5’06”, 150 lbs., and was wearing a red/white baseball cap. The Dallas Police Department is asking for the public’s assistance in identifying the suspect in this case. If you have any additional information or possibly came into contact with the suspect, please contact Detective B. Billings #7626, (214) 671-3083 at the Dallas Police Department Assaults Unit.